The video game industry has been going through a constant evolution ever since its inception back in the early 70’s. From the first rudimentary games produced on radar displays for museums like Tennis for Two (1958), to Spacewar (1962) which graced the computer systems found on the occasional campus during that decade to the mass production of Computer Space (1971) as the first widely available coin-op arcade machine to the Magnavox Odyssey(1972), the first time an affordable video gaming device would be made available for homes. Behind these efforts were pioneers of a completely new & unique form of entertainment. Game developers & engineers who blazed trails into an exciting & fun new frontier in leisure. Many of the names behind the games are best recognized through the companies that they worked for, these businesses creating a work culture that fostered ideas & innovations that would become true classics. The first titans of the industry would be companies like Atari & Midway/Williams; Atari leading the way with many industry firsts (the first game in color, the first maze game, the first racing game, the first 4 & 8 player games, the first video light-gun game, etc. etc.) that others could only hope to make a quick buck by copying. Midway/Williams for their part tapped into their industry experience in creating many electro-mechanical games before the advent of the video game. As the “Golden Age” of gaming began to take hold in the late 70s, Japanese developers would go beyond copying Pong and come up with innovations of their own. You know the names: Sega, Nintendo, Namco (now Bandai Namco), Taito, Data East, Capcom, Konami and so on.. These developers carved a name for themselves by creating quality titles that would capture the imagination of gamers all over the world. Some of these companies still exist with the likes of Nintendo continuing to dominate the world of gaming while others are still riding on the reputation made for themselves from almost 40 years ago. For those who are still around, much of their focus has been on the home gaming entertainment but not all of them have forgotten their arcade roots. Companies like Sega & Bandai Namco have entire divisions dedicated to developing & releasing video arcade games while Nintendo has been willing to license their IPs out to different companies so that the Nintendo logo can be found at the arcade once again. Nevertheless, where the old companies have gone, new and younger enterprises rise to fill the void. Today, the arcade game industry is still going strong, both in the East where it was born, as well as in the West where it almost went extinct after the video game crash of the mid 80’s. 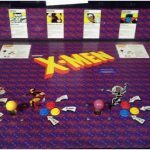 In this article, we aim to provide a list of the major arcade game amusements & video game developers, both old and new, that are still alive to this day and producing quality entertainment for everyone to enjoy. Known for: For a time, Atari was the “800lb. gorilla” of the industry. They made video games popular and engrained themselves into gaming culture of the 80s. 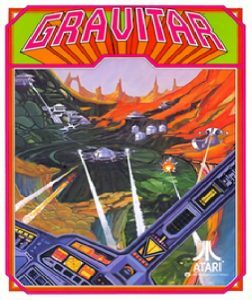 The company was split in two in 1984, the arcade division becoming Atari Games; titles to brandish the famous “Fuji” logo include: Asteroids, Centipede, Gauntlet, Paperboy, Area 51, San Francisco Rush, among many others. Closed in 2001 when their owners at the time of Midway left the coin-op business. Known for: Namco originally started as a division of Atari Japan before becoming their own entity; also known as Namco until Bandai bought them up some years ago. Their arcade division has produced some of the most famous video games in history, from Pac-Man to Galaga, Dig Dug to POle Position and Tekken to Time Crisis. 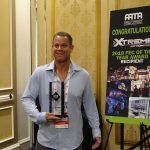 They are still making new titles, the latest of which will be seen at the IAAPA 2017 trade show in Orlando, FL. Known for: Gained a lot of attention in the 80s with titles like Frogger, Track & Field, Gradius, Contra and creating iconic beat ‘em ups like TMNT & The Simpsons. Like Capcom, their arcade output these days is limited compared to what it used to be but their “Bemani” series of music games like Dance Dance Revolution still enjoys new releases in Japan every year. Known for: As mentioned, this company was creating & selling electromechanical games before video games was a term anyone used in public. Also known as Williams (depending on ownership at certain times), Midway would put themselves on the video map with titles like Defender, Robotron 2084, Spy Hunter, Cruis’n USA, Hydro Thunder & of course, the famous Mortal Kombat series. They also served as the company that licensed big titles from Japan, which is why you’ll see the Midway logo on original production titles like Space Invaders, Pac-Man & Ms. Pac-Man. 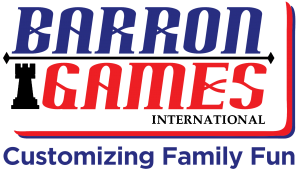 They closed down their arcade operations around 2002 to focus on home games but ended up being bought by Warner Bros. in 2009. Their games and amusements can still be found nearly anywhere. Known for: Like Midway, Sega was making EM games for filling up amusement centers before you could control a dot on the TV. 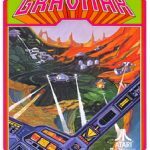 Starting in 1955, they have an enormous catalog of games but only really began to be noticed in the 80s when they created hits like Zaxxon, Space Harrier, OutRun, Shinobi & Wonder Boy; they dominated arcades of the 90s with 3D racing titles like Daytona USA, fighters like Virtua Fighter & shooters like The House Of the Dead. Separate from their home divisions, the Amusement wing of the company still creates brand new out-of-home entertainments including Sonic The Hedgehog branded sports games, and a new Transformers video game. Known for: Taito got started by cloning Atari’s Pong but the game that put them on the map was Space Invaders. After that, everyone started paying attention to Japanese developers. Taito has also created popular titles like Qix, Darius, Bubble Bobble, Arkanoid, Rastan, and many others. They were bought by Square Enix in 2006 and have since limited their new arcade releases to maybe 1-2 titles a year. The most recent of which is a new Densha De Go!, a train simulator that is only available in Japan. 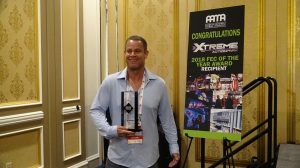 Known for: In the wake of Midway leaving the arcade business, industry legend Eugene Jarvis and a couple of business partners formed this company, which has come to dominate the video side of the industry. It also owns Play Mechanix and together both companies produce titles that they launch as well as titles for other companies like ICE and Bandai Namco. For their own lable, they make top earning titles like Jurassic Park Arcade & Cruis’n Blast with upcoming titles like Injustice & Teenage Mutant Ninja Turtles looking to grace the scene in 2018. 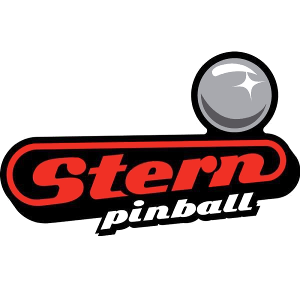 Known For: After Bally exited the pinball business to make slot machines, Stern was the “last” pinball manufacturer in the world until competitors began showing up 2012. They specialize in creating licensed designs off of popular movies, TV shows or rock bands and launch 3 or 4 games a year. Their most recent titles include Aerosmith, Star Wars and Guardians of the Galaxy. Known for: A young developer studio that opened in 2010. They manufacture and sell titles mainly intended for ticket redemption. They have pioneered the idea of licensing mobile games for use in the arcade, sporting the likes of Fruit Ninja, Jetpack Joyride, Crossy Road and others. Known for: Based out of South Korea, Andamiro has kept most of their focus on creating redemption content, with the occasional foray into video. They have created a number of redemption games based off of Spongebob Squarepants and are also the creators of Pump It Up, the only series that has been able to truly compete with Konami’s Dance Dance Revolution. 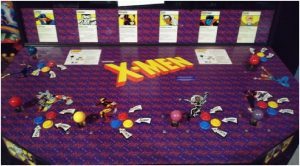 Known for: Starting off as a manufacturer and seller of air hockey tables, this US-based start-up has expanded their reach into foosball tables, kiddie rides, licensed mobile-to-arcade games like Fly O’Clock and soon will release a new 4-player video redemption game called Tap That. 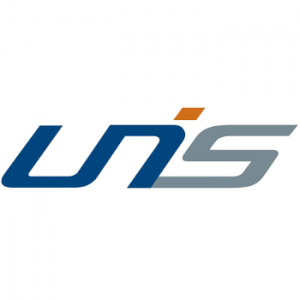 Known for: This is a Polish-based company that is focused exclusively on tabletop games and amusements such as Air Hockey, Foosball, and Billiards. Known for: As their name implies, they manufacture some of the best shuffleboard tables in the market. Known for: Developers and sellers of some of the most beautiful and engaging pinball machines in the world, pushing the envelope of innovation by introducing HD color screens & full color LED lighting. They have four games under their belt, The Wizard of Oz, The Hobbit, Dialed In! and coming in 2018, Pirates of the Caribbean. Known for: Best known for being the official producer of Whack-A-Mole machines, Bob’s Space Racers stands out by creating amusements that you tend to find at the midway of an arcade theme park. They also also develop smaller versions of these games to go into redemption centers, standing out for their unique designs. Known for: Manufacturers of many types of ‘merchandiser’ video games, including several variations of the classic “claw” game. Now a part of the Elaut group of companies. Known for: From light gun games, mobile game ports, crane games, and whack a’ mole variations, this developer will definitely have something to offer your arcade establishment. Known for: Because everyone values fond memories, and even more so if they’re in form of a picture, photo booths are a great addition to any arcade establishment or any other type of business that panders to teens or tourists. This company manufactures some of the best booths in the market. 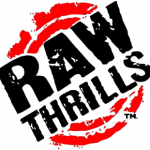 Known for: When it comes to Foosball and Pinball, this company will definitely have something awesome to offer, having been in business since the 1940s. Now a part of Valley-Dynamo, makers of billiards & air hockey tables. Known for: An up-and-coming developer based out of China, they offer a wide variety of machines, from simple redemption amusements for the young ones, to fully-equipped VR booths for up to 5 simultaneous players like the Omni Arena. Known For: Catering primarily to the redemption side of the industry, ICE is perhaps best known for their “bubble hockey” game known as Super Chexx. A new version of that game is slated for release soon under the name Super Chexx Pro. They also produce a variety of popular basketball, alley bowler & video redemption arcade games. 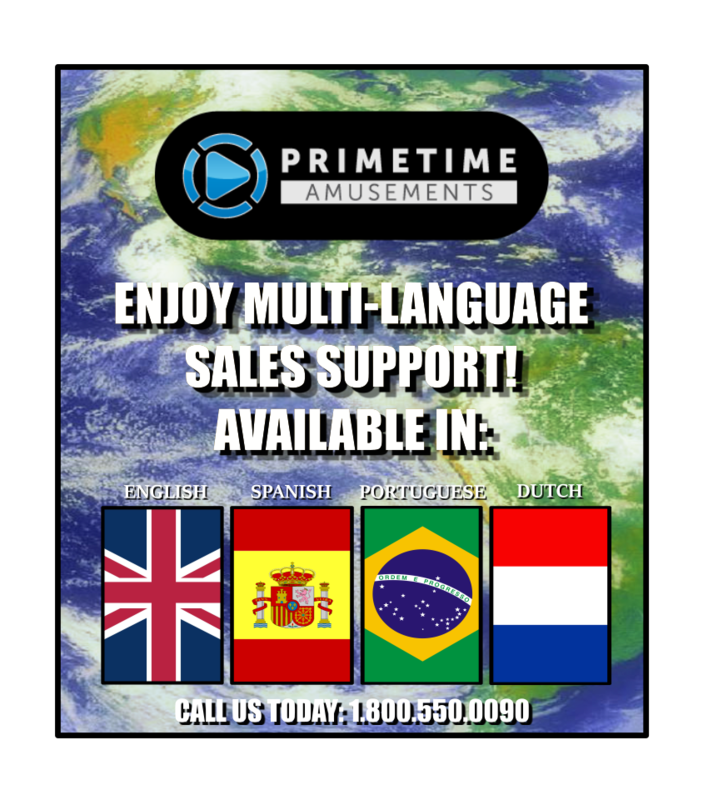 These companies mentioned above are but a few enterprises that actively manufacture and sell arcade games and amusements to any interested parties. While some the games might not appeal to everyone, there is still a wide variety of titles and machines to choose from. If you’re interested in a company, in particular, that wasn’t mentioned on the list, feel free to check out our manufacturer catalog, where you’ll surely find what you’re looking for. If you still have any questions or concerns, feel free to give us a call at 1.800.550.0090, or to visit us at 5300 Powerline Rd, Suite 210, Ft. Lauderdale, Florida, 33309. Our agents are always happy to be of service!